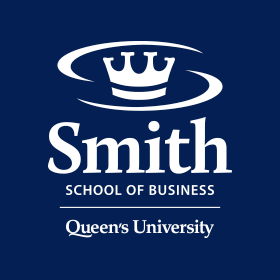 Queen’s School of Business (QSB) Centre for Corporate Social Responsibility welcomed Dr. Tina Dacin as its new Director earlier this year. The Corporate Social Responsibility (CSR) Centre, located within QSB was founded in 2004 to help train students to meet the demand for business leaders concerned with the challenges of CSR and to foster research that would ultimately promote better CSR practice. Dr. Dacin is an E. Marie Shantz Professor of Strategy and Organizational Behavior, whose research interests focus on social entrepreneurship and strategic collaboration. The Centre is the hub of many QSB activities in CSR and ethics, including the CSR Certificate for Commerce students, providing support to the non-profit community locally and across Canada, and continuing our work with the Globally Responsible Leadership Initiative, developed by the United Nations Global Compact and EFMD (European Foundation for Management Development). The work of the Centre is generously funded by the School’s corporate sponsors.